As part of our NBA Draft series, we have been breaking down in full scouting reports all the top prospects who could hear their names called in the first round on Thursday. Included in our profiles are the 35 top prospects as consensus-ranked back in mid-May. But now we’re a day away from the draft, and there’s been plenty of movement around the bottom end of those consensus rankings. Teams have gotten to see the prospects go through measurements, tests, and interviews at the Chicago Combine as well as individual and group workouts in private practice settings. As always, there are some guys moving up at the last minute who weren’t in the mix six weeks ago but could find their way into the first round. Who will become this year’s Norris Cole, the guard from Cleveland State who shot up draft boards late in the process last year and got selected #28 overall? We’ll detail these rising prospects who didn’t make our original cut and we didn’t get a chance to break down in full. Some of the players we detailed back in May who were fringe first-rounders at the time are now falling as likely second-rounders. Scott Machado, Kevin Jones, and Darius Miller, especially, are all projected outside of the top 35 by Draft Express and NBADraft.net at this time. That doesn’t mean these guys won’t get selected in the first round, but the buzz simply isn’t as strong leading up to draft night as some other prospects that we overlooked. 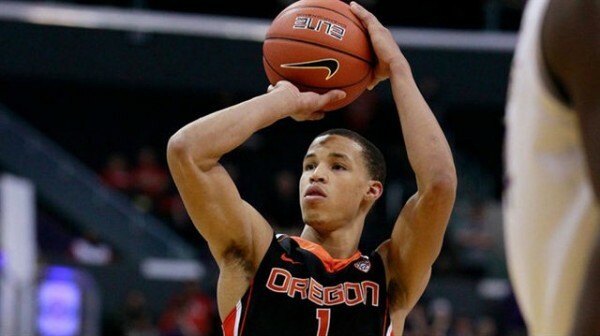 Three names – excluding foreign players – who are now rising above these players in terms of consensus rankings heading into draft night are Jared Cunningham, Kim English, and Miles Plumlee. We’ll detail each prospect with a quick and dirty breakdown, including what has caused each player to rise in the past few weeks. Their next stop is out of their hands, but the Tigers can take solace in the fact that they did everything in their power to get to the top of their region this weekend, beating Oklahoma State, Texas and Baylor in three consecutive days. English went a masterful 29-40 from the floor in the conference tournament, including 8-12 from the three-point line to take home Most Outstanding Player honors. The Missouri rotation may be thin, but it was potent Saturday night, with all five starters scoring at least 15 points and Michael Dixon adding 17 from the bench. The Tigers closed out the final seconds with Missouri fans chanting “S-E-C! S-E-C!,” taking pride in the team’s departure from the Big 12, though not without some hardware. The Big East Tournament has been catching some flak for the fairly boring games taking place during the nightcaps on ESPN, but the NYC tourney produced fantastic results during the afternoon on Thursday. Following a hard-fought game between Connecticut and Syracuse, the Bearcats and Hoyas did battle for 40+ minutes, extending all the way into two overtimes in what looked like could have been an even longer game. Georgetown led for most of regulation in the game, but Cincy stormed back in the second half with a strong defensive effort and plenty of big plays, many by the veteran forward Yancy Gates. Although being played at a low-scoring, slow pace, this game was full of clutch shots and crisp basketball plays at the end of regulation and both overtimes. In order to extend the game both times, Georgetown needed to make shots on a final possession while down by two points. First, Otto Porter tied the game in regulation and then it was Henry Sims in the first overtime with a beautiful swooping layup as time expired. But in double-OT, the Hoyas were down two once again with the ball and this time went for the win. Sims’ three-pointer wouldn’t go down and the Bearcats were victorious behind Gates’ 23 points and eight boards. They move on to play Syracuse tomorrow in the Big East semifinals. Marshall and Tulsa Play Three! If you thought the Cincinnati-Georgetown game was crazy, you’ll want to hear about this one in Conference USA. Marshall was the lower-seeded team and had played yesterday but is probably the more talented squad than Tulsa, who was higher-seeded thanks to a better record in the C-USA season by one game. These two teams did not want to go home empty handed, as they combined to score 205 points in 55 total minutes of play. In three overtimes, Marshall star DeAndre Kane went for a career-high 40 points including nearly all of the big plays down the stretch of the extra sessions. 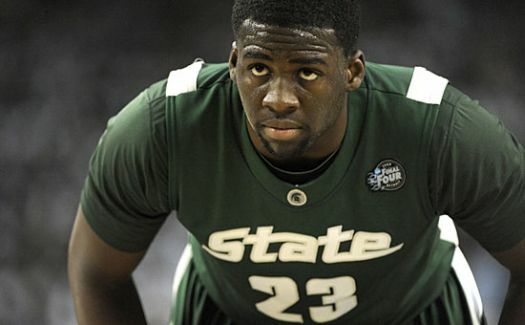 Kane also piled up seven rebounds, three assists, and three steals and played all but one minute of the entire game. Four Tulsa players scored at least 14 points and the Golden Hurricane led by at least three points in all three overtimes, but they could not contain the Thundering Herd’s desperate comeback efforts that resulted in the win from sheer passion and effort. Marshall lives to play another day, but who knows how much it has left in the tank for Friday. Jamaal Franklin For the Win. San Diego State struggled to put away pesky Boise State in the first round of the Mountain West Tournament, but the Aztecs happen to have the conference Player of the Year who’s made great plays all season long. Franklin had 19 points in the game but it was his incredible long-range heave at the buzzer that stole the show and won the game for SDSU. Head coach Steve Fisher described this final play call as, “Give him [Franklin] the ball and let him make a play.” Check out the footage below. Danny Spewak is a Big 12 microsite writer and will provide wall-to-wall coverage from the Big 12 Tournament in Kansas City. You can follow him on Twitter @dspewak. 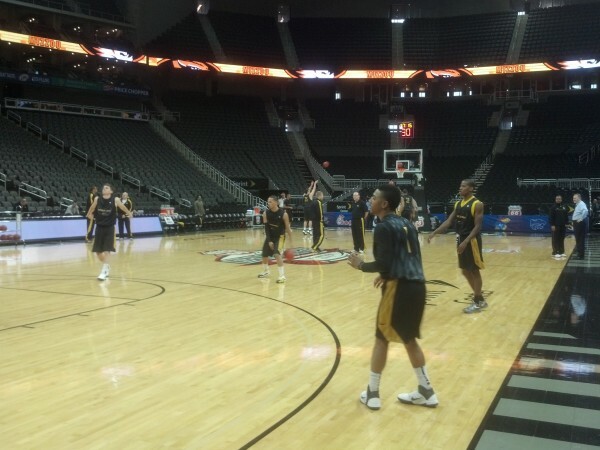 The second they took the floor at the Sprint Center this afternoon, the Missouri Tigers started talking. And they didn’t stop talking until their 40-minute practice window ended. 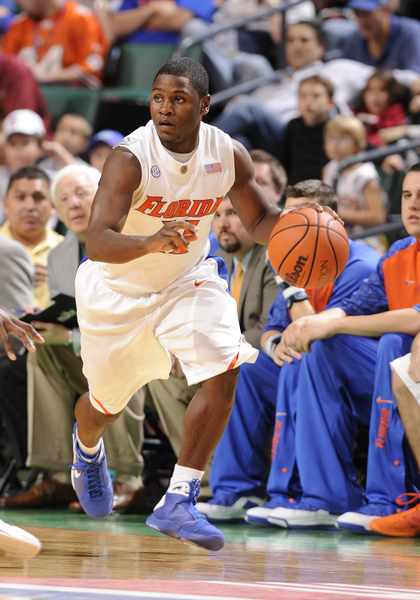 “Let’s be crisp this whole time,” Kim English told his teammates at the very beginning. “No mistakes.” With a top seed in the NCAA Tournament on the line this weekend and a potential Border War finale with Kansas on Saturday, the Tigers can’t afford to lose focus. They vocally encouraged each other and practiced with great tempo, completing each drill with a purpose and running from spot to spot with a hop in their steps. Before the season began, Iowa State was one of the Big 12’s most intriguing cases. After a losing season, coach Fred Hoiberg banked on four transfers to lead him to the promised land. It worked. The Cyclones are all but headed to the NCAA Tournament now, but that doesn’t mean they aren’t still an underdog. Royce White, a major part of Team Transfer this year, say it’s a role the team enjoys playing. That’s a good thing, especially since ISU will visit Missouri on an emotional Senior Day tonight. Hoiberg isn’t the only coach not afraid to take transfers. 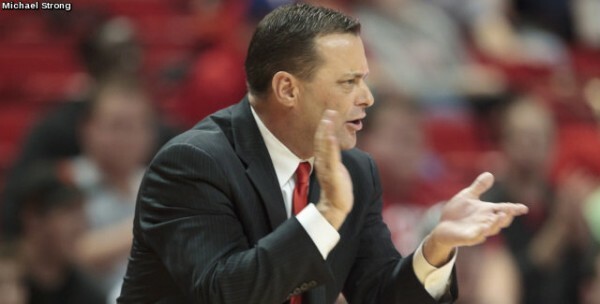 His opponent tonight, Frank Haith, has a Team Transfer of his own set to become eligible for the 2012-13 season. Of course, I wrote about this very topic a few months ago, and it’s interesting to revisit. In terms of “The Transfer Effect,” Iowa State has clearly reaped the benefits of Division I transfers. Maybe it will work for Haith, too. We’ll just have to find out. In addition to several transfers, MU will also welcome back Laurence Bowers to its frontcourt next season. Unfortunately, that’s because he’s sitting out this season with a knee injury. 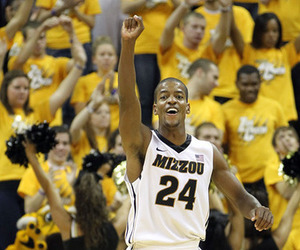 The forward will now watch his fellow senior class compete at Mizzou Arena for the last time tonight, and it has to be difficult to watch his graduating class move on without him. He says the ride this year has been somewhat bittersweet, only because he cannot compete against Big 12 foes with seniors Kim English, Marcus Denmon, Steve Moore and the rest of the team. Sick of Iowa State/Missouri talk? So are we. With a disappointing Big 12 season winding down, Oklahoma fans may be looking to next season— and Amath M’Baye in particular. His teammates and coaches love him, and they say he’ll make a major impact when he becomes eligible next season after transferring from Wyoming. M’Baye, who averaged double figures with the Cowboys, seems to be able to do just about everything on a basketball court. With the bulk of a young team returning next year, M’Baye may be the missing piece for Lon Kruger. Here’s an interesting nugget: Apparently Kansas and Nebraska have been in very preliminary talks to start up a non-conference game in the near future. Scroll down to the bottom of this article to learn a little more. It sounds like the two sides had simply talked casually about the possibility, and it’s not going to happen as of right now. Still, considering KU’s refusal to play Missouri because it left the Big 12, it’s odd to read that the school still considered playing the Cornhuskers of the Big Ten.